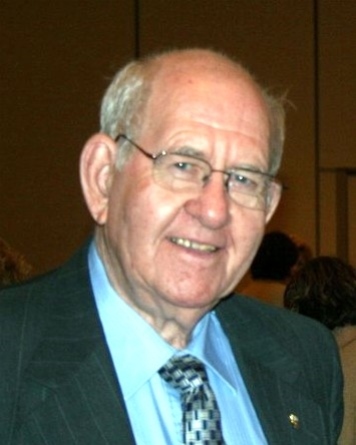 Everett L. Belisle, Jr., 84, of Andover passed away Thursday, October 18, 2018 at High Pointe House in Haverhill. Born in Andover, he was the son of the late Everett and Edith (Whitcomb) Belisle. Everett was a lifelong resident of Andover. He was a graduate of Essex Agricultural High School in Danvers and worked as a designer for local florists. He was very involved with his church where he took care of the churches flower arrangements for fifty-eight years and prepared for all the church function meals. Everett was a member of the St. Robert’s Knights of Columbus Andover Counsel and held many state and regional offices. He and his late wife were members of the Department 56 Collectors Club. He loved working in his yard and enjoyed spending time with his family and friends. He also served with the U.S. Army. Everett was predeceased by his wife, Shirley Mae (Barron) Belisle; sister, Ernestine Anderson and his granddaughter, Heather Geldart. He is survived by his daughters, Nancie Guilmet and her husband, John of Andover and Michelle DiOrio and her husband Thomas of Tewksbury; sisters, Edith Brown and her husband, Richard of Tewksbury and Sandra Stewart and her husband, Frank of North Andover; grandchildren, Tracy and Rachel Geldart, Sean and Mikayla Hodgdon, Allyson Jessie, Joseph, Michael, and Christopher DiOrio; great-grandchildren, Brandey and Branden Geldart. He also leaves many nieces and nephews. Relatives and friends are respectfully invited to attend visiting hours on Wednesday, October 24, 2018 from 2:00-6:00 PM at St. Robert Bellarmine Church, 198 Haggetts Pond Road Andover. His funeral mass will be celebrated at the conclusion of visitation at 6:00 pm in the church. In lieu of flowers, memorial donations may be made to the American Cancer Society at donate3.cancer.org. Arrangements have been made by Cataudella Funeral Home, 126 Pleasant Valley St., Methuen.